For second time in six months, Arsenal Capital Partners, a private equity firm sold off a plastic-related business. A New York based private equity firm, American Securities LLC purchased Royal Adhesives and Sealants LLC of South Bend, Ind., from Arsenal. A news release was announced on April 27 declaring the deal but no purchase price was revealed. American has a stake in Advance Drainage Systems Inc., the Hilliard, Ohio which is one of the reputed and largest plastic pipe makers in North America. Royal Adhesives is the third deal of plastic for American in past 18 months. ADS went public in 2014. American purchased Tekni-Plex Inc., a firm that specializes in making plastic films in November 2013. The deal was estimated to be worth $800 million. Later in June 2014, American made one more purchase. This time it was Emerald Performance Materials LLC of Cuyahoga Falls, Ohio, a firm that specializes in manufacturing chemicals. However, the purchase price was not disclosed by either of the companies. Emerald has a wide range of products including plasticizers, epoxy resins and carbon black additives. 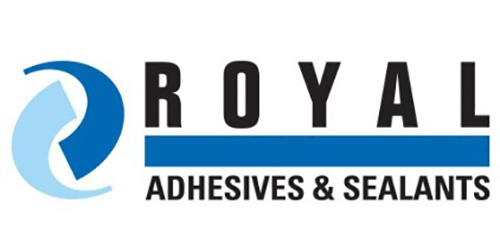 With the help of Royal, Arsenal bought Clifton Adhesive Inc. of Wayne, N.J. in 2012. Aerospace, Military and Commercial marine markets received thermoplastic and elastomeric adhesives and coatings from Clifton. Clifton happened to be among six plastic related deals by Arsenal in 2012. In 2013, Arsenal purchased four more plastic firms. In May 2014, Arsenal purchased RTH Processing, plastic firm and RDT Manufacturing, rubber firm, both located in Delphos, Ohio. For a change, in December, Arsenal sold Accella Performance Materials, a maker of liquid polymer to PolyOne Corp. for $49 million. Accella Performance Materials is located in St. Louis and was formerly know as Dash Multi-Corp Inc. The annual sales of Accella were $35 million.